Day 5 -Do Not Taunt the Buffalo – Really? I’ve got 2 nights booked in Rapid City- the only place on the journey where I can do that. It’s a little more relaxing and my body needs some rest. I woke up today with a pain in my back – right side only and have to assume the riding + ridiculous heat is taxing on the old kidneys. I’m hydrating like it’s my job right now – if that doesn’t work I’ll assume it’s a muscle pain and will try the usual route of Advil. 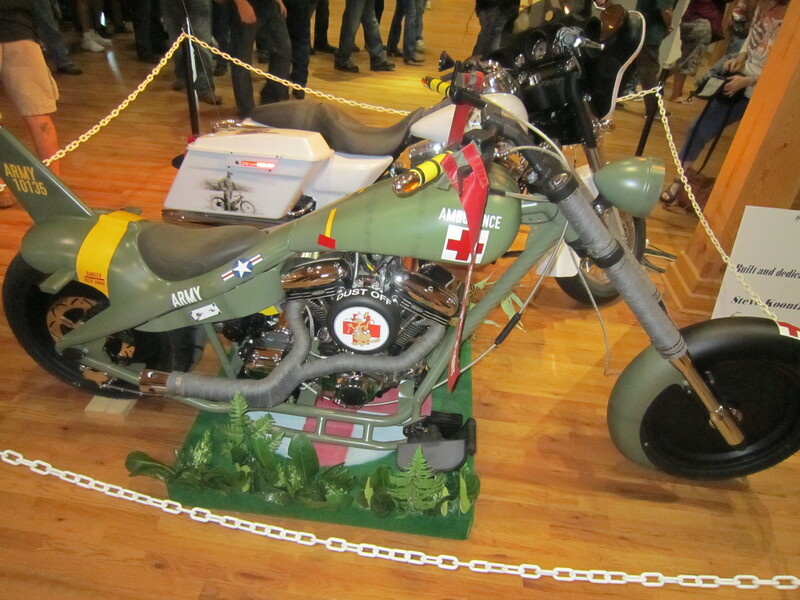 Breakfast at the hotel – rinse the bike – visit a buddy at the local HD shop and then see something amazing. As a side note- people in Sturgis – it’s 80+ degrees out- you don’t new to wear leather chaps. Especially not indoors. I will have to chalk that up to a general mystery of the universe we’ll never solve. After breakfast I ventured over to the Harley shop to say hello to a friend from Boston – Chris. I also wanted to get my oil changed but wasn’t up for the 6-hour wait, so I’ll get that taken of when I leave Sturgis and the lines are more manageable. 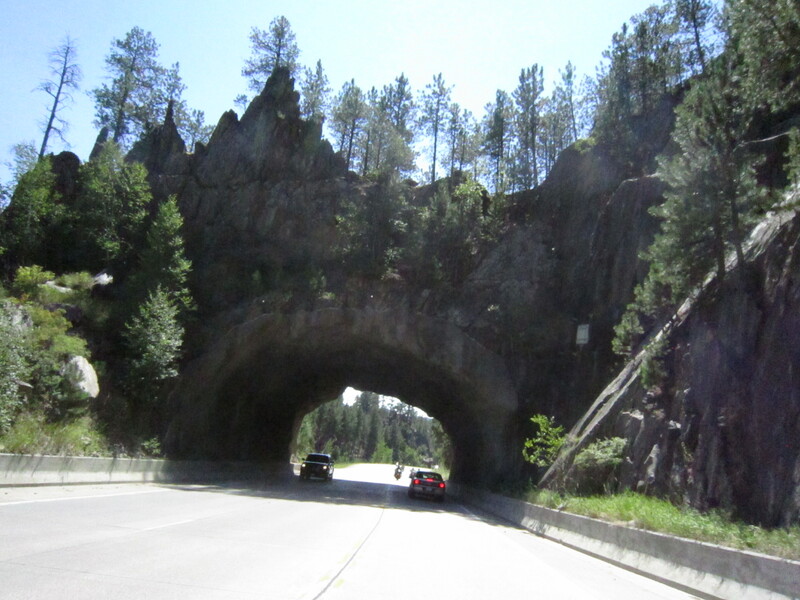 The ride to MT Rushmore was not too far and included some decent roads. It is just amazing to think about the time and effort that went into that project but is absolutely awe inspiring when you see it in person. 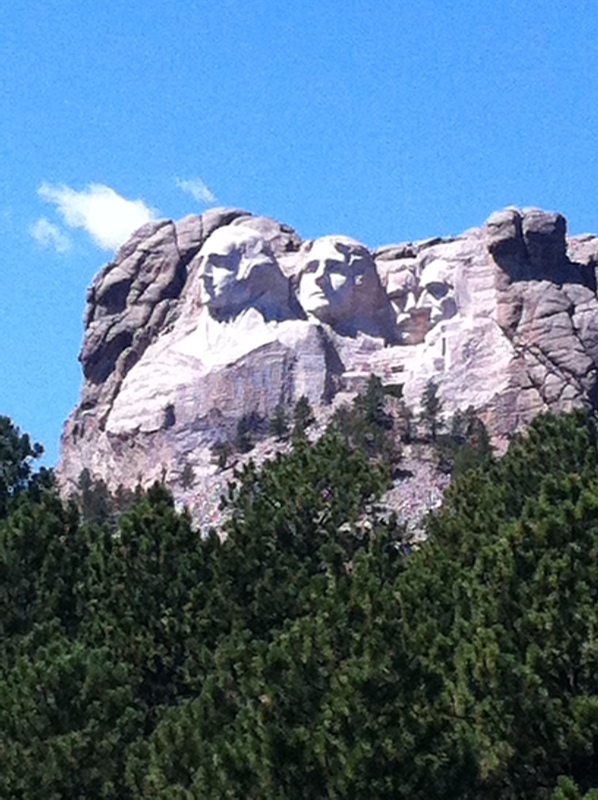 10 miles down the (very winding) road is Crazy Horse. I really don’t have anything that needs to be accomplished today so I sat through the educational film about the sculptor who dedicated his life to the project. I was determined to get my $5 worth and all. 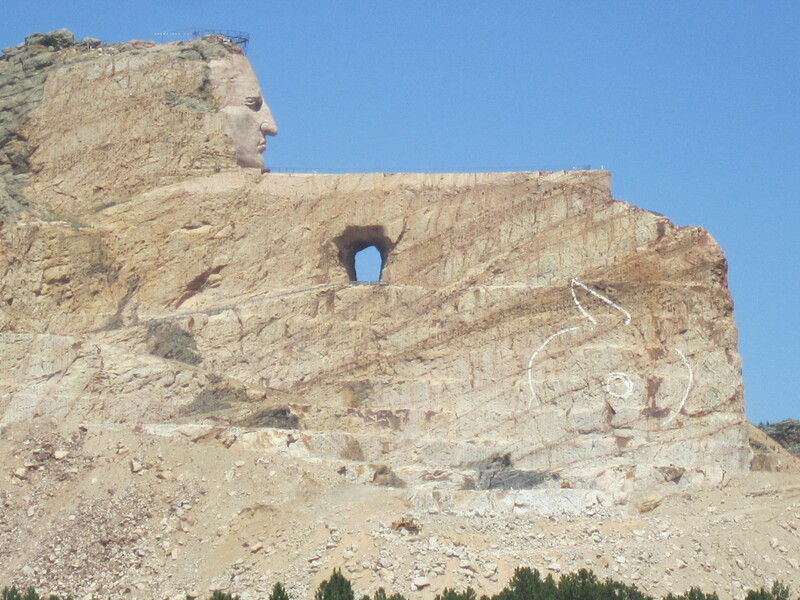 It was interesting to learn that the artist who started Crazy Horse was a Bostonian of Polish descent (Korczak Ziollkowski). Maybe I’m in the wrong line of work and mountain carving was actually meant to be my calling. 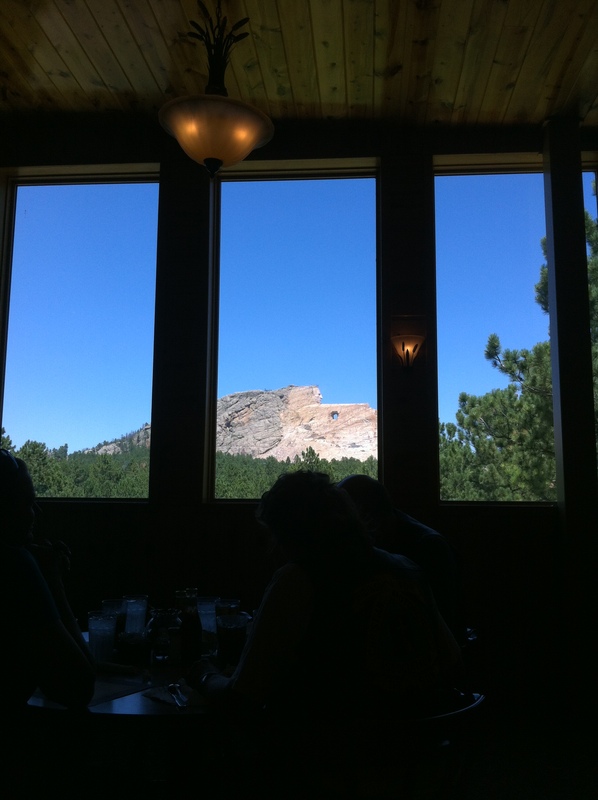 Wow, the coffee here is good and free – apparently a tradition at Crazy Horse, or so says the menu. I really expected crappy cafeteria coffee and was pleasantly surprised. Separately the place was air conditioned and I was exhausted – likely I wouldn’t have known if it had been filtered through a sock. In the Crazy Horse film they discussed the offspring of the artist – 10 children in all. An incredible scene showed the kids helping pack dynamite into the mountain to blast out shapes. I’m pretty confident that child protective services would have been called if it weren’t in the middle of nowhere. Another amazing fact was that there were over 740 stairs that the artist would have to climb with his tools each day. Sometimes he would have to it multiple times per day. 9 times was the worst day. It raised the question, why didn’t he build a shelter for his tools half way up? All of this entertainment was within the first few minutes of the movie – unfortunately between the remainder of less entertaining content and my already exhausted state, I dozed off a few times. I felt bad until I looked around and almost everybody in the small theatre was deeply engaged in REM cycles catching up on Z’s as well. Now I’m sitting in the restaurant surrounded by the same wood paneling that dressed the walls of my parents basement through my formative years. But I do have a brilliant, uninstructed view of the mountain carving outside my window. 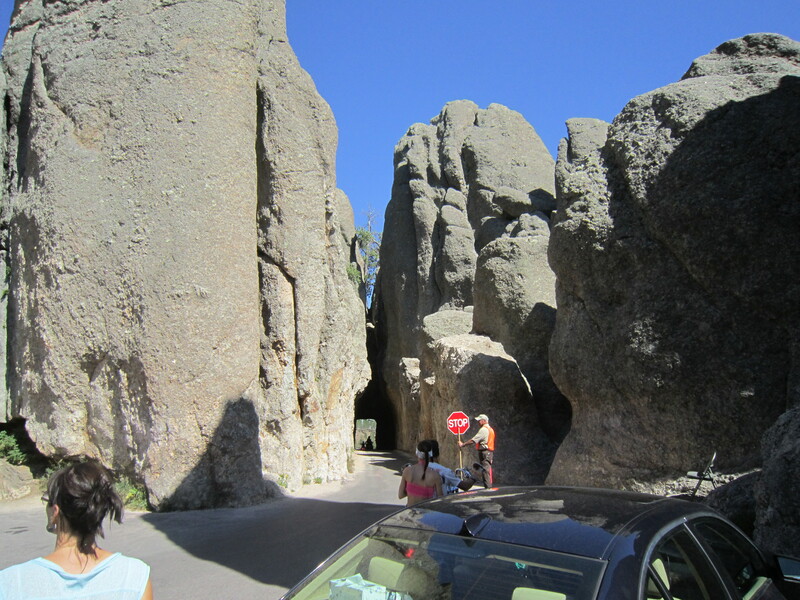 Headed to the needles highway for some other riding that a friend encouraged me to do. 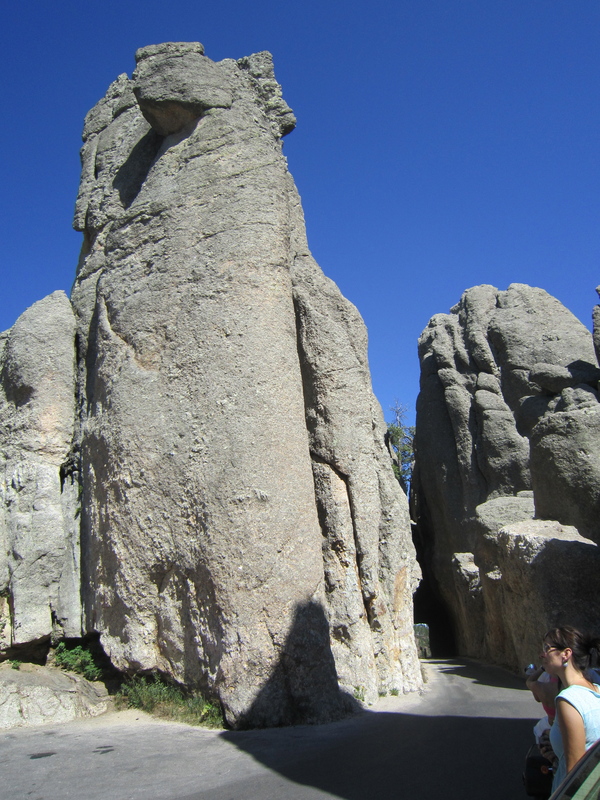 It is a twisty road where roads carve through rock structures. The Needles HWY was phenomenal! So many twists and turns – the only bad part was all the damned bikers sharing my road. Between this and iron mountain road, today was the best riding of the trip and among the best of my life. The roads were perfectly paved, single lane in some places and had arches carved through rock formation to form underpasses. No electrical wires to remind one of civilization and with one exception the only road signs were to indicate exciting and dangerous twists in the road. The one sign that differed was to warn people not to approach the Buffalo should you have an encounter. Now, they only had to make such a sign because somebody didn’t have the common sense to leave the beast alone. At one point as I was going through a stretch called Custer state park on 16A I saw 7 bikes pulled over to the right side in an area where people wouldn’t normally pull over. 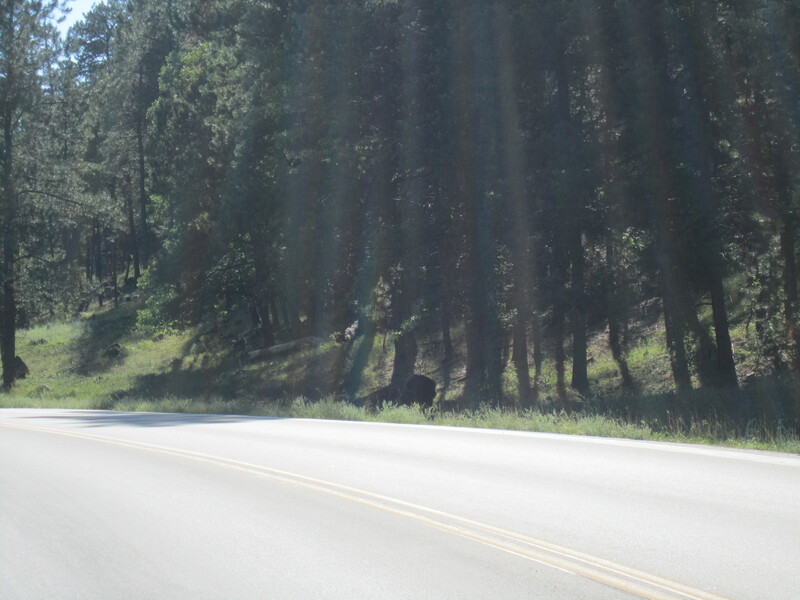 As I slowed and looked to the left I saw a real, lie, wild buffalo. This thing had its own zip code it was so big and though sitting, it’s grunts increased in both volume am intensity as we sat there. Based on my previous poor history with Bulls (long story but can recount Texas in the future) I didn’t want to test my luck in the wild. Ironically, I was, really tempted to approach and taunt the 2,000 pound beast but thankfully remembered the sign from earlier. 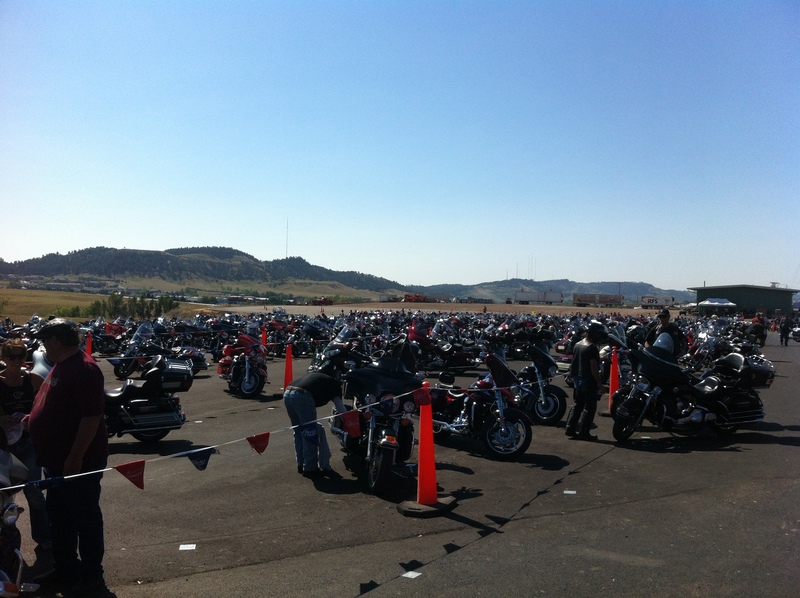 Later in the day I found myself once again at downtown Sturgis walking the mayhem that is the rally. A few booths drew me in including the “Fat Bagger” booth where they sold customized Baggers for $65k and up. I remember this phase about 10 years ago with Choppers and eventually the craze died off because they became tough to ride. Baggers are going through that same metamorphosis where custom and art is challenging function. The only brand consistent with all of these shifts in taste is Harley who never goes too far to either end of the spectrum and as a result lasts. I did stop by an Avon Grips booth to get a new set but based on my bars, the chosen grips didn’t fit. I ride with Carlini Apes and the black powder coating is too thick to take most aftermarket grips. I believe HD grips will fit but it’s back to the stock police-bike grips. Luckily the company owner was at the booth and happily refunded my money. The evening would be spend at the hotel bar drinking Jack Daniels with some locals who shared a few interesting stories. Ken, a mid forties builder shared a story building on my minimal knowledge of Buffalos. Apparently at the end of the season (not sure which season that is) the park auctions off Buffalos. As Ken put it, these are “butcher buffalo with low sperm count” apparently bad for studding. As the auction winner, it is up to you to put the animal down and then hire a butcher to clean the meat. Apparently going price is around $2,500 to win the auction an a butcher will do the dirty work for an additionally $500. The animal yields around 800 LBS of meat and half if ground chuck (burger meat). $3.75/LB seems like a great deal though storage couldn’t be easy. The other interesting conversation from last night was with a guy (Dan -34) and his girlfriend of 2 years about some of the Sturgis attractions. Apparently camping at the Buffalo Chip is a great time and they have some incredible bands including Lynard Skynrd Thursday night. They even invited me to share their campsite if I decided to stick around. I definitely considered it but weighing a concert against spending some extra time riding through Yellowstone, my decision was easy – I’ll head out in a few minutes to Red Lodge MT. Now I’m headed west and have 450 miles of riding to do today. I’ve heard that where I’m going actually may have snow so the heated gear may actually come out. Amazing to go from 90 to 30 degrees in such a short window.